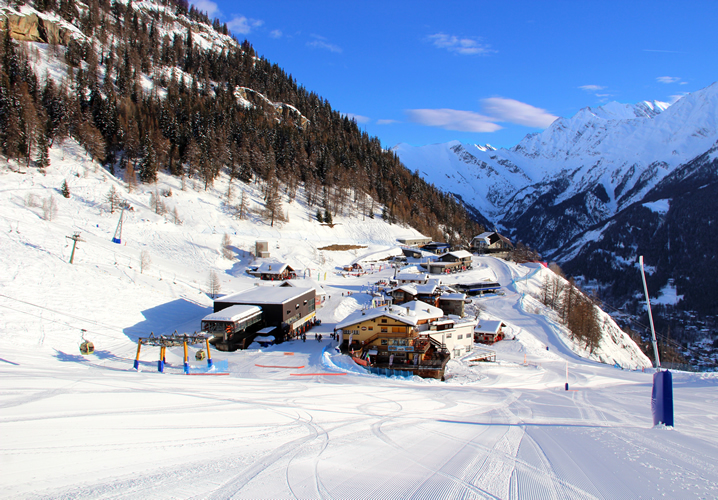 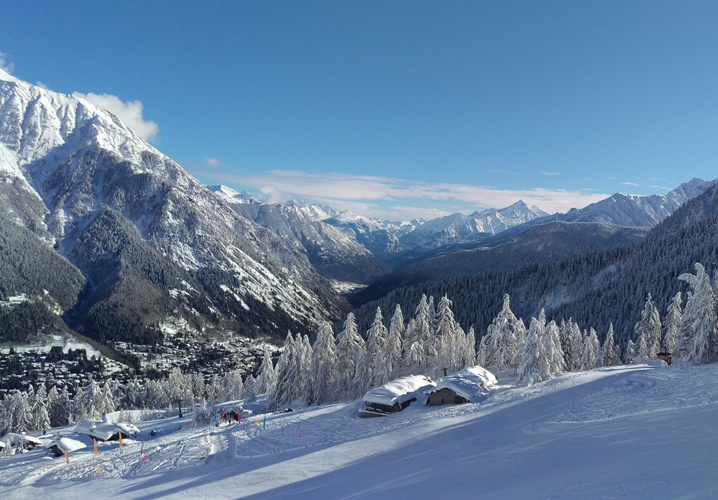 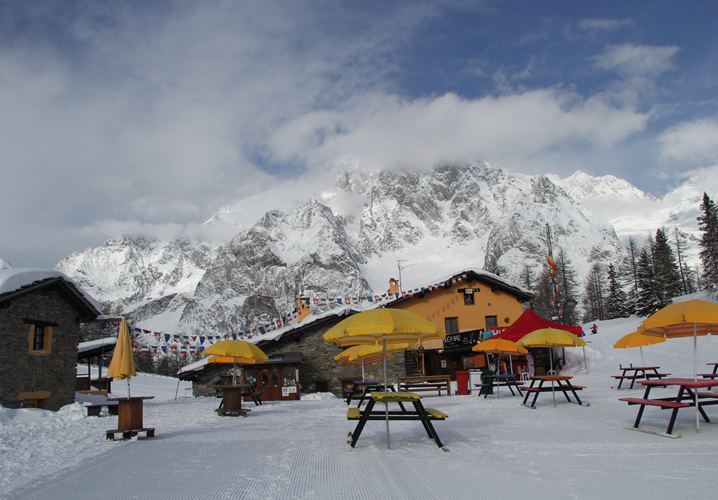 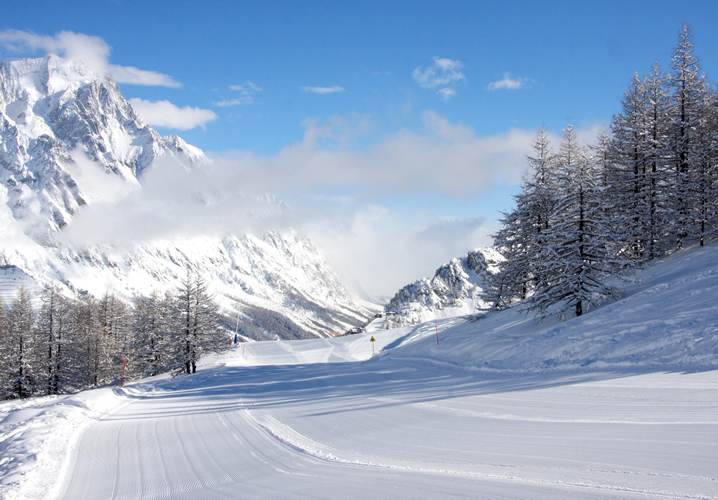 Courmayeur is perhaps the best known of the Aosta Valley's winter resorts, and with good reason. 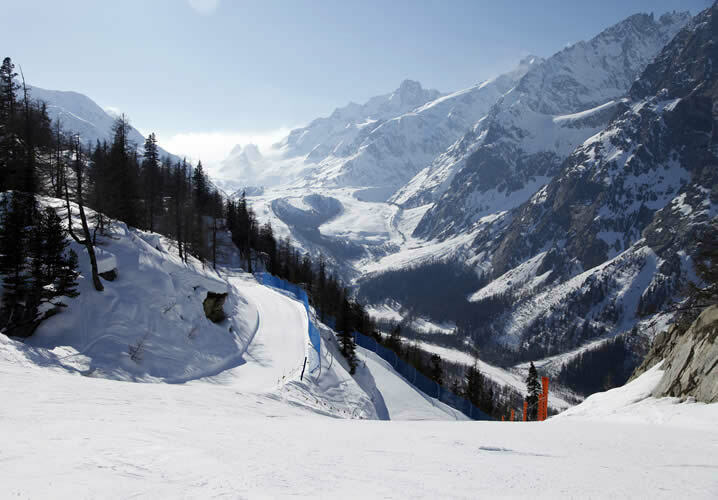 Nestled at the foot of Mont Blanc, it enjoys a spectacular location. 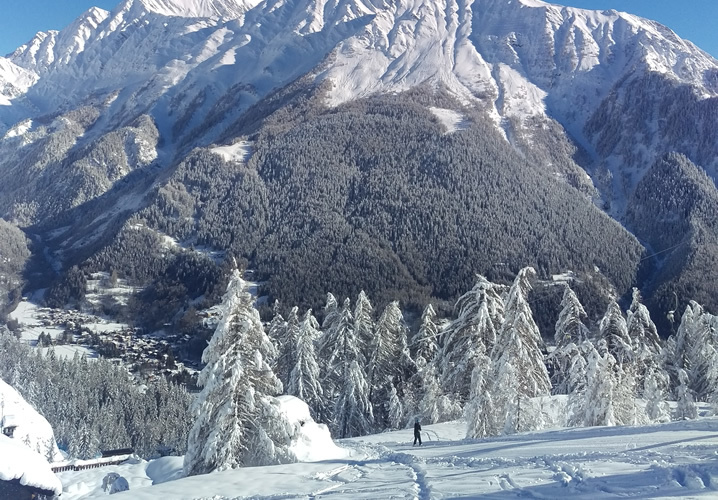 The old village has a delightfully traditional atmosphere, and its narrow cobbled streets and piazzas are home to chic boutiques, delicious patisseries and a wide choice of restaurants, pizzerias and bars. 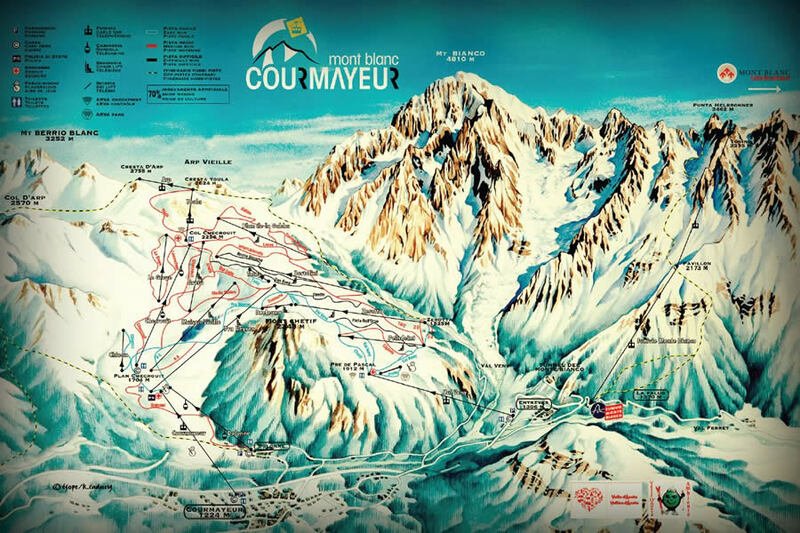 In the mountains above the village there are over 100 kilometres of exciting, varied runs. The Baby Bowl provides a safe haven for beginners, whilst the open runs, mogul fields and outstanding back country skiing tempt the more advanced. 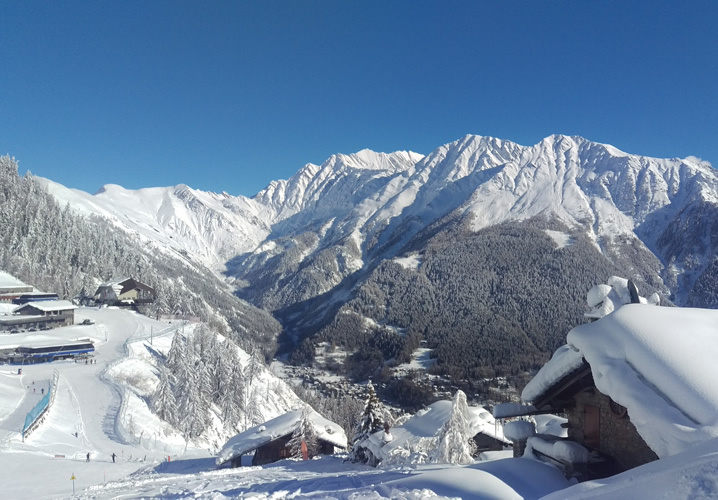 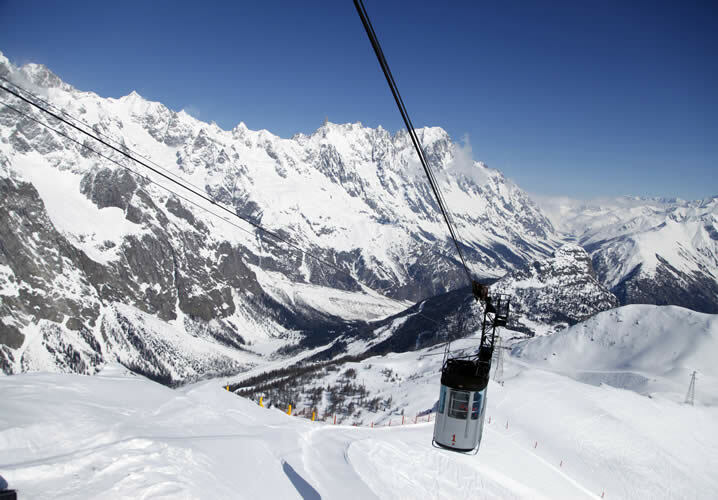 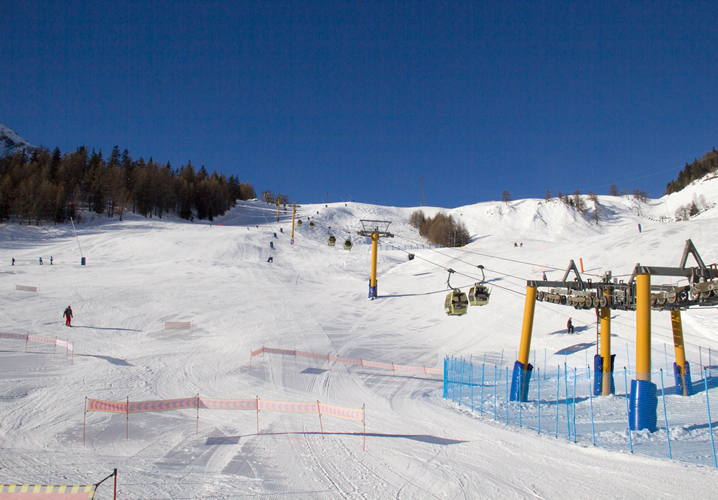 6 day lift passes include the option to ski two days in another Aosta Valley resort. 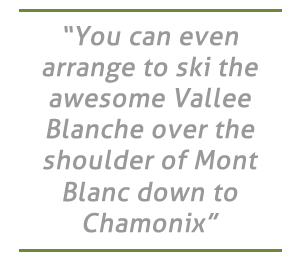 You can even arrange to ski the awesome Vallée Blanche over the shoulder of Mont Blanc down to Chamonix. 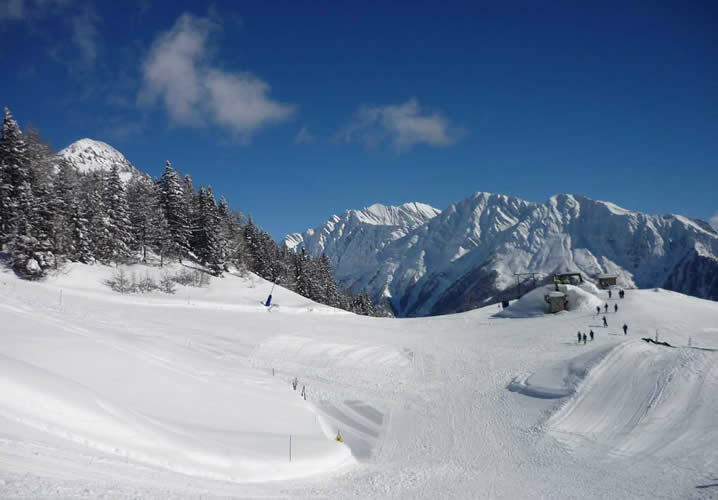 Throw in a great choice of mountain restaurants, perfect for a relaxing lunch, and maybe a hot chocolate or two, and you have a truly fantastic resort.